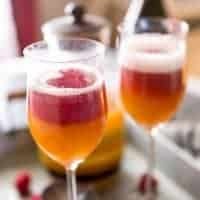 Mango Raspberry Prosecco Float; dessert or cocktail? Who cares what you call it, as long as you call it delicious! We all know those people who use the same adjective to describe everything. You know, the friend who says everything is “amazing” or in my case, a son who says everything is “lit”. Lit-what does that even mean? Anyway, you all know what I am talking about. I had a college roommate who loved to call everything “phenomenal”. The concert she went to was “phenomenal”, the book she just read was “phenomenal”, the restaurant she and her boyfriend went to was “phenomenal”. I guess I was in a bitchy spell because I couldn’t take it anymore. I finally had to call her out and tell her if everything was phenomenal, then nothing was really phenomenal, was it? That may have marked the beginning of the end of our friendship. I try to be cognizant of my adjectives. It’s hard to trust someone who is over the top or who thinks everything is phenomenal. But I am going to tell you that this prosecco float REALLY IS PHENOMENAL! The base of this cocktail is mango nectar. You can find some brands in the whole food juice section or sometimes you can find it canned in the ethnic section of your grocery store. It is perfect for cocktails like this Mango Sangria. 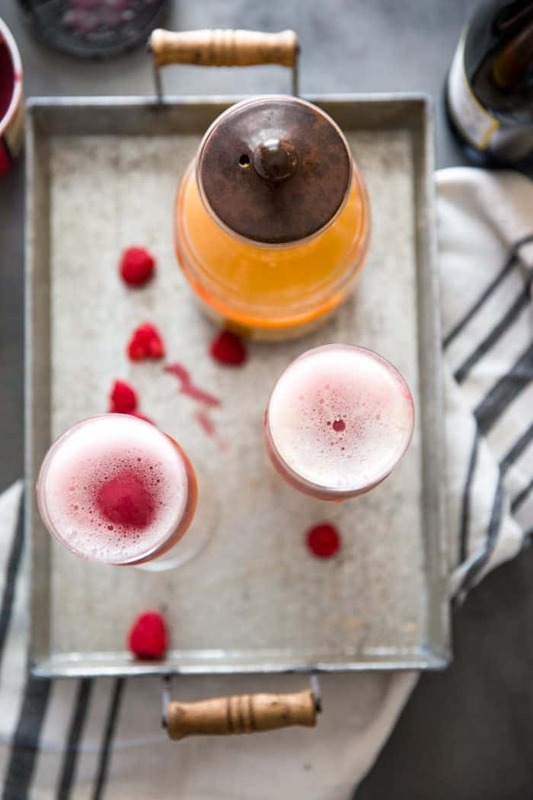 The mango nectar gets a little flavor enhancement from Chambord, which is a raspberry liqueur and when paired with a cool raspberry sorbet, it packs a sweet, raspberry punch. 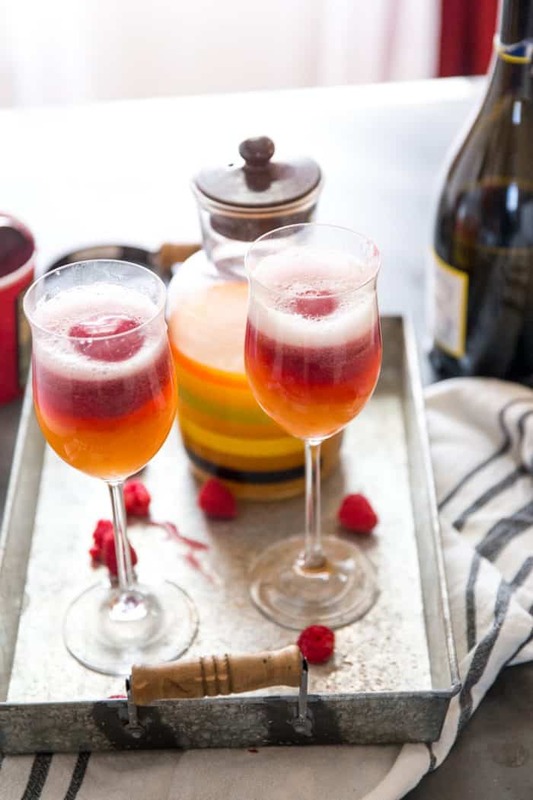 This cocktail is definitely on the sweeter side which is why the prosecco is essential to cut through all that sweetness (just like it did in this Bubbly Fuzzy Navel Cocktail). 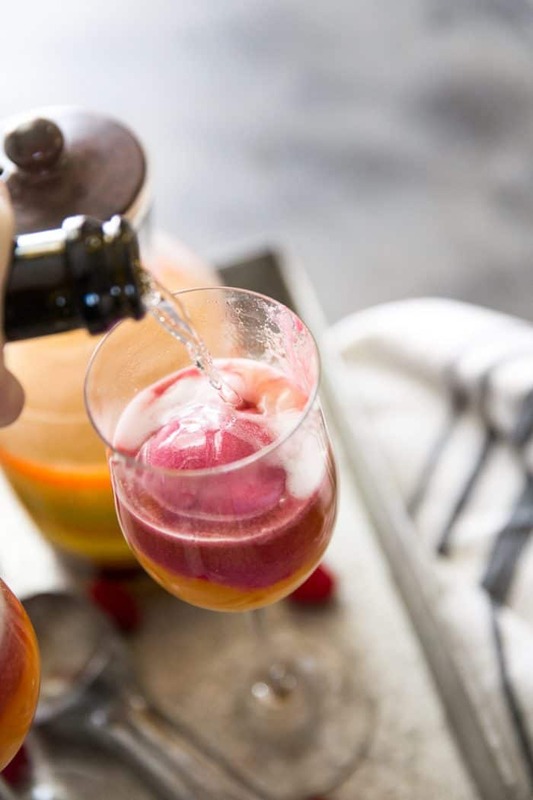 You could also try this cocktail recipe with mango sorbet if you wanted to bring out that fruit flavor instead. This is a fun and almost whimsical cocktail that is refreshing and cool! 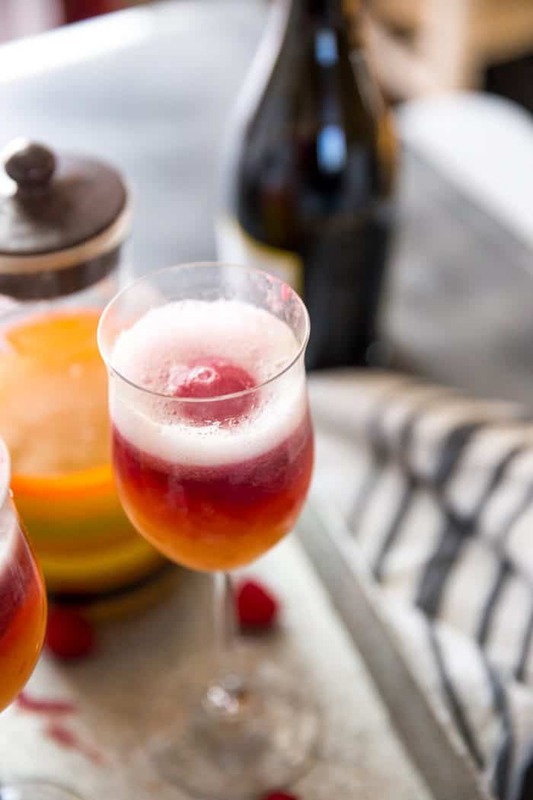 Mango-Raspberry Prosecco Float; dessert or cocktail? Who cares what you call, as long as you call them delicious! In a cocktail shaker, combine the Chambord, mango nectar, and ice. Shake to combine. Pour mixture into a glass. 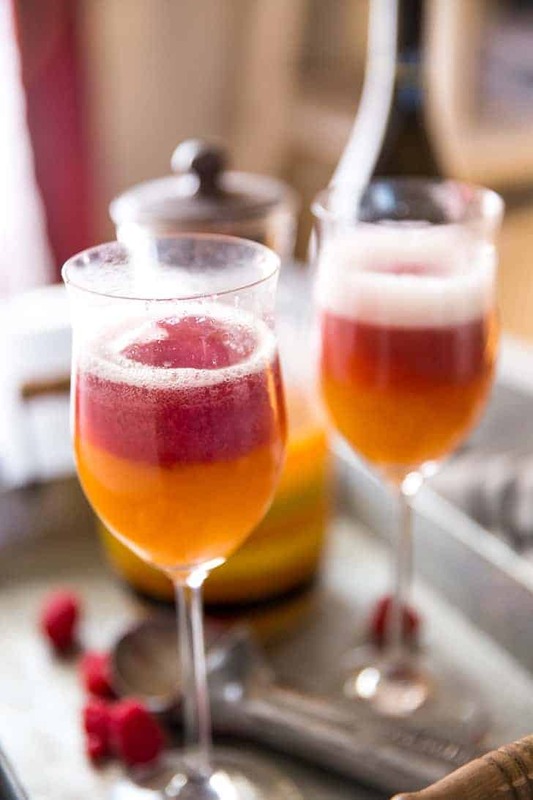 Add one scoop of sorbet in the glass and top with prosecco.